SOLSTICE. A True Illini Success Story. 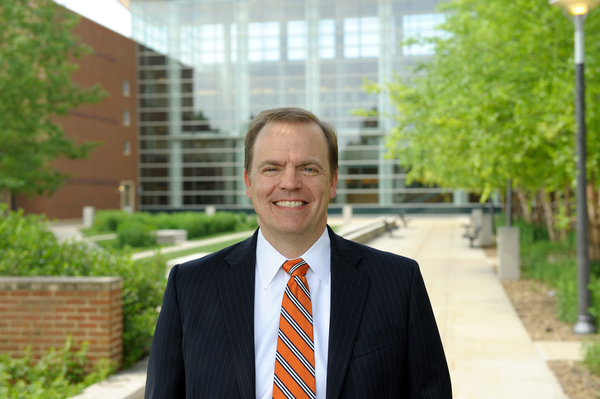 Dean Jeffrey Brown of Gies College of Business and the Solstice Leadership Team discuss how a University of Illinois education, coupled with strong leadership, combined to create an industry leading, global organization. The University of Illinois played an integral role in preparing the eventual founder and leadership team of Solstice to become an industry leading digital innovation firm. Solstice helps Fortune 500 companies seize new opportunities through world-changing digital solutions. As strategists and consultants, many of whom are Illinois alumni, they help organizations evolve their digital strategy to solve mission-critical problems. Their designers and engineers build incredible hardware and software solutions that transcend a standalone product and transform an organization’s relationship with its customers. As instructors and coaches, they help companies develop high-speed cultures of innovation. Headquartered in Chicago, and with delivery offices in New York, London, and Buenos Aires, they are in the heart of the largest population of passionate alumni, and will make for a fantastic discussion with our guest speaker, Dean Jeffrey Brown of Gies College of Business. *For more information about table and event sponsorship contact, webmaster@suburbanillini.org for details. 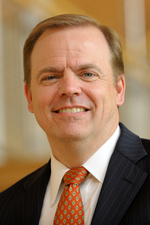 Jeffrey Brown is the Josef and Margot Lakonishok Endowed Professor of Business and Dean of Gies College of Business at the University of Illinois at Urbana-Champaign. He also serves as a professor of finance and was the founding director of the Center for Business and Public Policy. Jeff is co-director of the Disability and Retirement Research Center at the National Bureau of Economic Research (NBER) in Cambridge, MA; a trustee and chair of the Investment Committee for TIAA; a member of the Governing Board of the Center for Audit Quality (CAQ); vice chair of the Board of Managers of UI Singapore Research LLC; and a member of the Advisory Board of the Urban Institute/Brookings Institution’s Tax Policy Center. Previously, he has served as a senior economist with the White House Council of Economic Advisers. He earned his PhD in economics from MIT, his MPP from Harvard, and his BA from Miami University (Ohio). President and Chief Financial Officer Dan Kardatzke is the President and Chief Financial Officer of Solstice and is responsible for all global operations of the 400 person firm. Dan has spent the last 20 years in various management roles in the technology, services, and telecommunications industries along with being the Co-Founder of SageTV, which was acquired by Google in 2011. 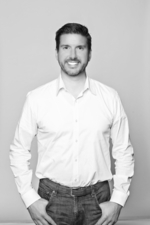 Over his career, Dan has been involved in corporate finance, M&A, capital raising, business development, and strategic planning and analysis at companies such as Frankel and MarketForward and Global Capacity. Dan received his bachelor's degree in corporate finance from the University of Illinois and currently resides in Downers Grove with his wife and two kids. He has a passion for mountain biking, competing in a handful of bike races throughout the year in the Midwest. Marisa Mann has over 20 years of experience in consulting and financial services industries, working on large scale enterprise initiatives. Mann is passionate about how the endless possibilities technology enables the enterprise, delivering business value through strong brand recognition and driving excellence in the consumer experience. She is a leader with proven ability to define opportunities, identify trends, and outline strategy and roadmap within an organization. Mann is a motivated, results-driven COO, excelling in the planning and execution of programs for enterprise clients. Mann has an MBA from Northwestern’s Kellogg School of Management. Prior to Solstice, she worked at JP Morgan Chase and Accenture. 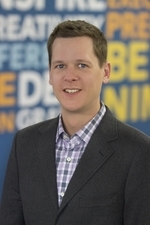 Chief Growth Officer Gregg Wheeler is the Chief Growth Officer at Solstice, a Chicago-based, digital innovation firm serving the Fortune 500. 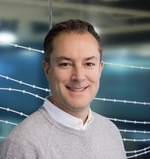 Gregg is responsible for driving growth at Solstice, and leads the global Demand organization which includes the Sales, Partnerships, Marketing and Business Development teams. Prior to Solstice, Gregg held a variety of roles in the technology sector at Accenture, JP Morgan Chase, and two tech startups. Gregg studied Finance at the Gies College of Business at the University of Illinois. Gregg is also committed to giving back to the community by serving as an active supporter of Ann & Robert H. Lurie Children’s Hospital of Chicago through his fundraising and volunteer efforts. Eric Rosenzweig is the Managing Director of Financial Services at Solstice. Solstice, part of Kin & Carta, is a Chicago headquartered digital innovation firm serving the Fortune 500. Eric has played a number of roles at Solstice for over 10 years and currently leads its financial services practice. Before joining Solstice, Eric held a variety of roles in the technology and financial services sectors, from working at startups like MVP.com to trading international futures and wholesaling sub-prime mortgages. However, after graduating from the University of Illinois at Urbana-Champaign, his first job was as a flight instructor at, what is now, Chicago Executives Airport. Eric supports his community by serving on the board of the La Grange Park Little League and participating in charity fundraising events to benefit Lurie Childrens Hospital and the Cystic Fibrosis Foundation. 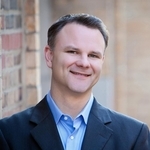 Paul Heckel is the Vice President of Customer Experience at Solstice and leads the firm's User Experience (UX), Product, and Strategy consulting practices. 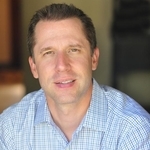 His 19 years of professional experience span across a variety of technology domains. Paul holds a Bachelor of Arts in Comparative Literature from the University of Illinois at Urbana-Champaign and a Masters of Science in Technology Management from the University of Maryland. His diverse professional background includes hands-on experience in 17 foreign countries. Outside of technology, Paul’s passions include international travel, soccer, and the University of Illinois Fighting Illini. He is a Chicagoland native and currently resides in Andersonville with his wife Candice. J Schwan founded Solstice, a digital innovation firm, and scaled it to 400+ employees across Chicago, New York and Buenos Aires. J sold Solstice to Kin + Carta, plc (KCT.L) in 2015. In 2018, J became CEO of Kin + Carta. J received his Bachelors in Materials Science and Engineering from the University of Illinois at Urbana Champaign and began his career at Accenture. J has been inducted into the Chicago Entrepreneurship Hall of Fame, is an EY Entrepreneur of the Year Finalist, was awarded the University of Illinois College of Engineering Young Alumnus of the Year award and is a multi-year recipient of the Tech Week 100. J is on the Foundation Board of Lurie’s Children Hospital in Chicago and is a former YPO Chicago chapter board member.